For All Apps DBAs Have you ever faced [APP-FND-01564: ORACLE error 8102] while Running Purge Concurrent Request and/or Manager Data? Follow the steps at https://k21academy.com/appsdba48 to Solve the above error by knowing 1) What this Issue is all about? 2) Error, Causes & Solution 3) Troubleshooting with Step-wise Flow. Are You Updated? Visit: https://k21academy.com/appsdba34 and find out the ✔ New Features in Oracle E-Business Suite(EBS) ✔ Few Software to Download. ✔ Upgrading EBS R12.2.8 & much more that you must know as an AppsDBA. Do your know How to troubleshoot long-running concurrent request? 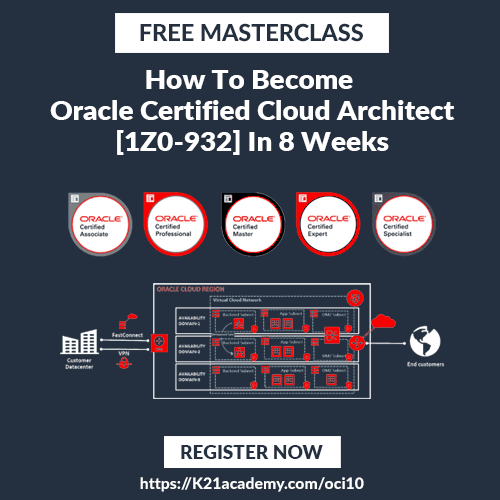 [BLOG] Troubleshoot/Debug Long Running Concurrent Request in Oracle EBS (R12/11i) Learn here https://k21academy.com/appsdba22 about: ✔ What is Long-running Concurrent Request ✔ The 6 basic steps to troubleshoot the Error ✔ Download your FREE Guide to know more about Concurrent Manager. Cloning is one of the common task (apart from Patching & Troubleshooting). While installing EBS R12.1 on Linux x86-64, the following error appears RW-50004. This error is caused due to an error RC-20200… Stucked with this Error and want to know the Solution? Visit: https://k21academy.com/appsdba46 and find our new blog covering: ✔ Root Cause for the Error RC-20200. ✔ Solution for the error.